Uncharted: Drake’s Fortune was probably the only reason to own a Playstation 3 for much of the system’s existence. The gameplay and outstanding writing combined to give players a game whose only fault in the eyes of most gamers was the Sony exclusivity. 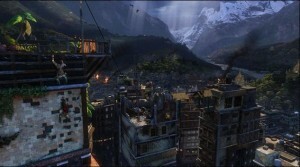 So now we come to Uncharted 2. What has happened to Drake and Elena and Sully? Is this one of those games that should have been left without a sequel, like The Matrix for games? Or does Among Thieves live up to the expectations set by its predecessor? We start the game on a literal cliffhanger, and the story only picks up from there, as later on we discover Nate and Elena are no longer an item. What happened? And who is this sultry wench trying to slither her way into Drake’s heart and pants? She is Chloe, and it appears she and Drake have a history, one she would like to revive. She and her friend Harry Flynn have a proposal for Nate: team up and raid a Turkish Museum to find the lost treasure of Marco Polo, which eventually leads to finding Shangri-La and the Cintamani Stone. Along the way there will be reunions, betrayals, explosions and a lot of gunfire. I found the story to be lacking here, sadly. The writing is still enjoyable, but Nate loses a little of his charm this time around, and Chloe never replaces Elena as the foil for Drake’s bravado. While Elena does finally return later in the game, the developers seem to be intent on having Chloe be involved as often as possible. One final comment on the story. 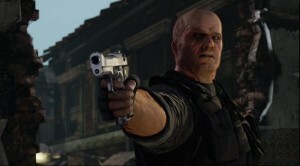 The main enemy this time around, Zoran Lazarevic, seems to be ripped directly from the B-Movie villain guide. Eastern European General on the run from the UN for war crimes, he wants the Cintamani Stone because those who have possessed only a sliver of it have attained great things and even greater power. The guy admires Stalin and Ghengis Khan. This is a stereotypical villain, and should be held up as such when college kids ask their teachers what a stereotypical villain looks like. All he needs is the twirly mustache. The first game had its own style, which took a little time to get used to, but after a while I came to see that it was a very good looking game. Among Thieves, on the other hand, looks great right away. The style is the same, so perhaps it’s merely my admiration for the way the first game looked, but Uncharted 2 is a damned good looking game. Explosions, weapons, enemies and locations all look terrific, and there is nary a glitch to be seen. My only complaint is the way Nate climbs stairs. It still looks weird. Well, the theme music is the same as last time, or at least it sounds exactly like it to me. That isn’t entirely bad, as the music from the first game was excellent, but I was hoping for more. The music does play an important part in telling the player whether he or she is in danger or not, as a dramatic theme plays while you are under attack, and stops the moment you put your gun away. The voice acting is once again stellar. Nolan North returns as Nate Drake, Emily Rose is once again Elena and Claudia Black (who seems to be everywhere in videogames these days) joins the crew as Chloe, and they all perform their roles admirably. The sound effects are good, with all manner of weapons sounding realistic and everything in the game world sounding like it should. Crossing a wooden floor, for example, sounds like you are crossing a wooden floor. 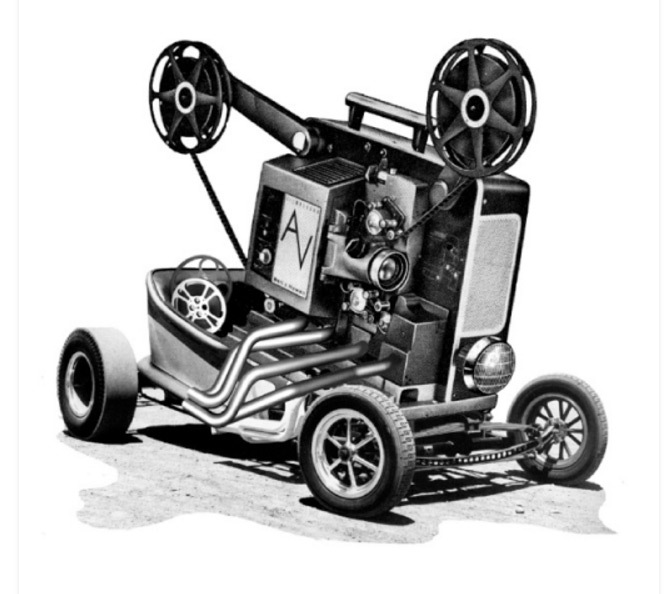 Perhaps the best thing I can say about the sound design is you don’t really notice it. What made the first Uncharted so enjoyable was the variety of things to do. You weren’t always in one mode, and when the developers thought you had been playing one type of mode for too long, they switched things up on you. Running and gunning? OK that’s getting stale, lets make you climb this tower. Climbing getting old? Figure out how to get into this building. 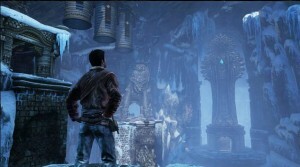 The second game uses the same approach, while also trying to make the game a more cinematic experience. Run away from the giant truck that’s chasing you, without knowing where you are going, then after surviving that, have a look around, figure out how to get farther in the level, then engage the enemies you find around the corner. Throw in a few stages where you are operating a gun or grenade launcher (thankfully NOT on a Seadoo this time) and you will find that the gameplay is the same as in the first, only polished to a gleaming shine. The level design, on the other hand, often feels contrived. It’s still entertaining, but playing Uncharted 2 often means entering rooms which would never exist in real life, because they seem to be built for one use before collapsing in on themselves. Naughty Dog isn’t alone in this; both the Tomb Raider and Indiana Jones games also make use of this sort of room as a puzzle game mechanic. Uncharted also featured its fair share of them as well, but I just feel as though it was more believable in the first game. Certain levels also make use of the tired old videogame standby of having you clear out a machine gun nest, then forcing you to make use of it to kill waves of enemies who magically appear a short time later. The developers make it entertaining, but it’s still a little disappointing finding a machine gun and knowing exactly what’s coming next. 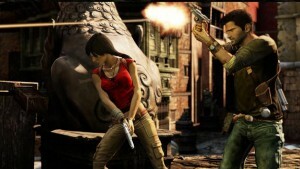 In Uncharted 2 there also appears to be more focus placed on cooperating with another character to advance in the levels. This too was featured in the first game, but now, instead of having someone tag along to help open doors, you have to wait while some computer controlled character walks from one place to another and steps on a stone or some other such nonsense. And even better, one of these characters you have to endure doesn’t even speak English. On the one hand, it’s refreshing, it places you out of your element, and let’s be honest, the likelihood of finding a person who speaks English in the Tibetan mountains is rather slim (even though you wind up running into not one, but two people who do a little later). On the other hand, well, it’s annoying. Give me subtitles or something, or just shut him up. The developers do a credible job of making you care about the guy, but one scene would have been enough. 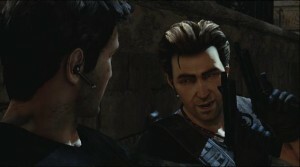 With Uncharted 2: Among Thieves, the developers seem to have had replay in mind when they built the game. 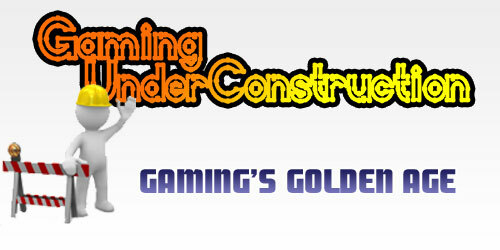 Firstly, there are the various difficulty levels, which have been increased by one over the initial game. Secondly, you have the treasures, which have returned. 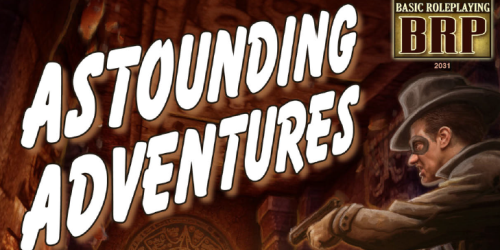 You can’t have a game where you raid tombs without raiding some tombs, right? Lastly, and most importantly, you have the addition of multiplayer. Personally, I was very hesitant about this addition. I’ve seen other games have valuable development resources wasted on two functions when the game would have benefited from focusing on just the one. Plus, I’m not one who has to have everything be multiplayer. I quite enjoy playing a game on my own and conquering it, and I also enjoy not having to listen to the dregs of the internet yammering on about this or that. So when Naughty Dog announced that Among Thieves was going to be both a solo and a multiplayer game I was not overjoyed. Happily, the multiplayer seems to have meshed quite well with the single player experience. There are a few different multiplayer modes, each of which has their own appeal, and each can be played in ranked or unranked fashion. Team Deathmatch is what I prefer, but there is also something to be said for playing Treasure, which is this game’s version of Capture the Flag. Imagine a Capture the Flag mode where you can hurl your treasure towards a teammate who happens to be closer to the objective and you get the idea. The gameplay is exactly the same as it is in single player, or feels like it is at any rate, so at no point do you wonder why things feel different while you are playing online. The game is well balanced. There are times when the game is frustrating, certainly, even cheap, but as was the case in the first game, the intention is to make you think on your feet and figure out how to defeat the problem presented, not for you to continually make the same mistakes and wonder why you aren’t advancing. I would say it would be nice to know that there are certain enemies whom you just can’t kill right away, and only later on in the game will you be able to deal with them. Had the game done a better job of informing me that my task was not to kill these enemies, but merely to endure them until the next in-game cinematic could start, I think I would have given the balance an even higher score. Very little about the game feels original. Just as the first game involved taking certain gameplay elements which had been well used and making them feel fresh again, the second game attempts to do the same, only in my mind, it suffers from taking the same approach twice. Uncharted took the game in a certain direction and then switched things up massively after a while, and the second one does the same thing, only not to the same extent. Even the multiplayer, which is the big addition to the game, does nothing to feel very new. The only thing I can say this game does which others haven’t is the way the developers are interacting with the community, doing things like having special Thanksgiving Weekend events where everybody plays using an obese version of Drake or the bad guy, or as various skeletons for Halloween. Yet even that’s not entirely original, as I’ve seen Holiday game events in other games like Halo 3. 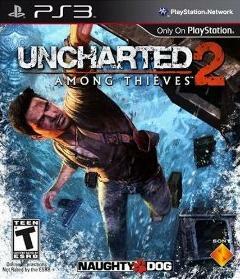 Still, Naughty Dog should be commended for paying attention to their game after release. I will say that feels original. The game has a very cinematic feel to it, so you will want to keep playing to see what happens next. Multiplayer is very difficult to put down, as you can level up and unlock new weapons and new skins. 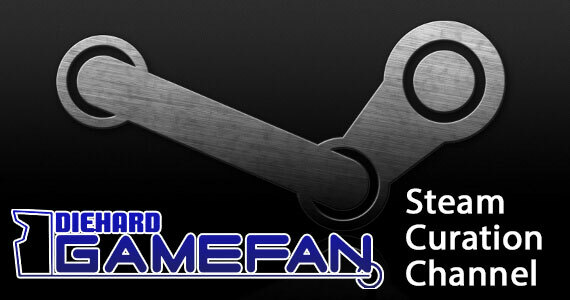 Money earned in the single player game can be put towards special features and weapons. It adds up to a highly addictive experience. If you loved the first Uncharted and maybe wished it had some multiplayer, you will get yourself to a store right now and buy Uncharted 2. 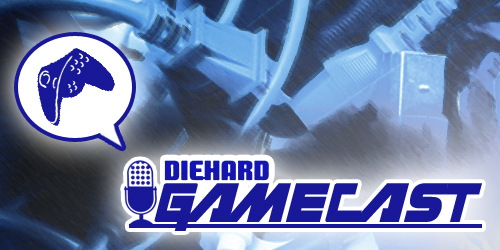 The game is a run and gun climb and don’t look down experience like no other. If you have yet to experience the joy of the first Uncharted, then congratulations, you now have two games to go out and buy. Many of the things Nathan says while playing the game are really awesome. One in particular I just loved was “Great, the girl is trapped and there’s no power. So help me if there’s a Zombie around the next corner.”Â It touched on the experience of the first one so well, and made the character feel real. That kind of thing is so difficult to achieve, and the developers make it look so easy here it’s not even funny. Among Thieves is an excellent continuation of the Uncharted gameplay, if not the actual storyline. Get it for the single player and stay for the multiplayer, Uncharted 2 is easily one of the best games on the suddenly resurgent Playstation 3, and certainly a contender for game of the year.